The great cream tea debate – Jam or cream first? Who would have thought that scones and a bit of cream and jam could ever cause such controversy. 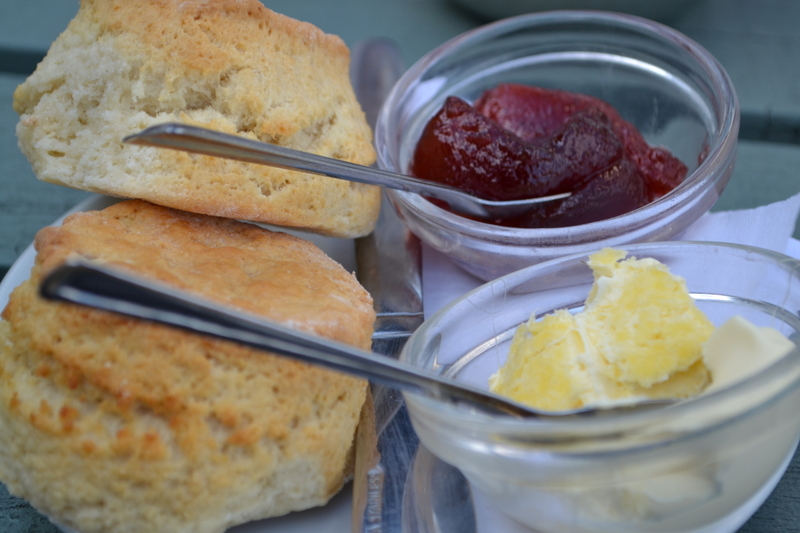 We all love to eat them but does anyone actually know what is proper cream tea etiquette – cream or jam first? Growing up in Australia, we always called it ‘Devonshire Tea’ but unknown to me was the controversy surrounding the origin of cream tea and the battle for its title. Much like the pavlova, the exact origin of cream tea is questionable, although evidence suggests there was a tradition at Tavistock Abbey in Devon during the 11th century of eating bread with cream and jam. In Cornwall, scones are usually eaten with the jam first followed by the cream but on a recent trip to Devon, I discovered that they spread cream on the scone first then the jam. If that isn’t enough to confuse you, some of the Cornish even put a sneaky layer of butter before the jam claiming that it prevents the cream from sliding off. 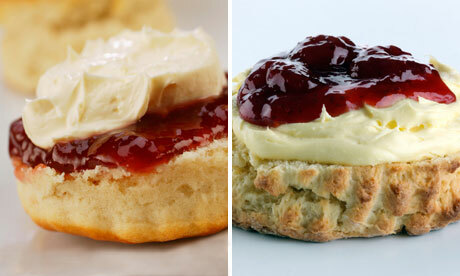 Which cream tea looks right to you? I have to say I am more of a jam then cream girl myself. We never had clotted cream in Australia, so I admit I tend to go a little cream crazy over here with a good healthy dollop on every serve. 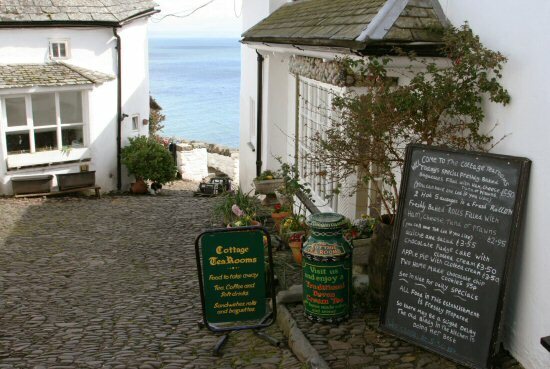 Controversy aside, if you are looking for the best cream tea in Devon, don’t go past the Cottage Tea Rooms in Clovelly, a picturesque fishing village in North Devon that’s full of winding cobble-stoned lanes, flower laden cottages and of course Devon tea rooms. 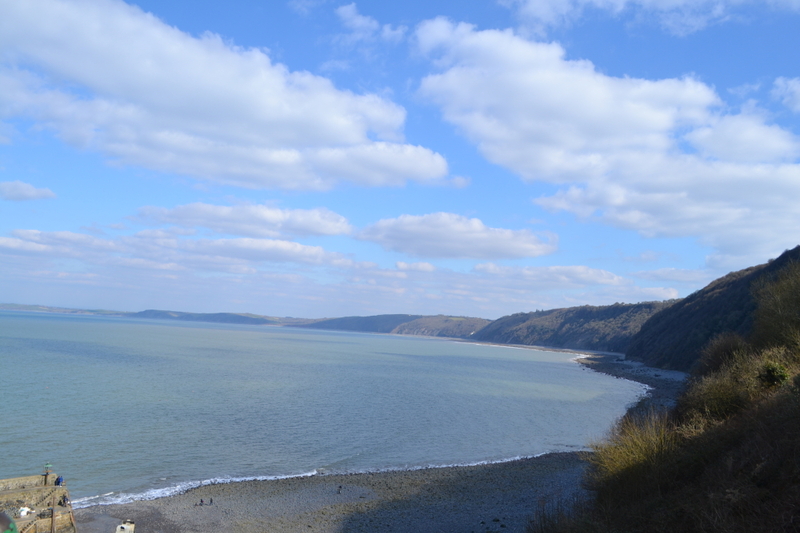 It’s no surprise that Charles Kingsley found his inspiration for writing the classic novel ‘Water Babies’ here. 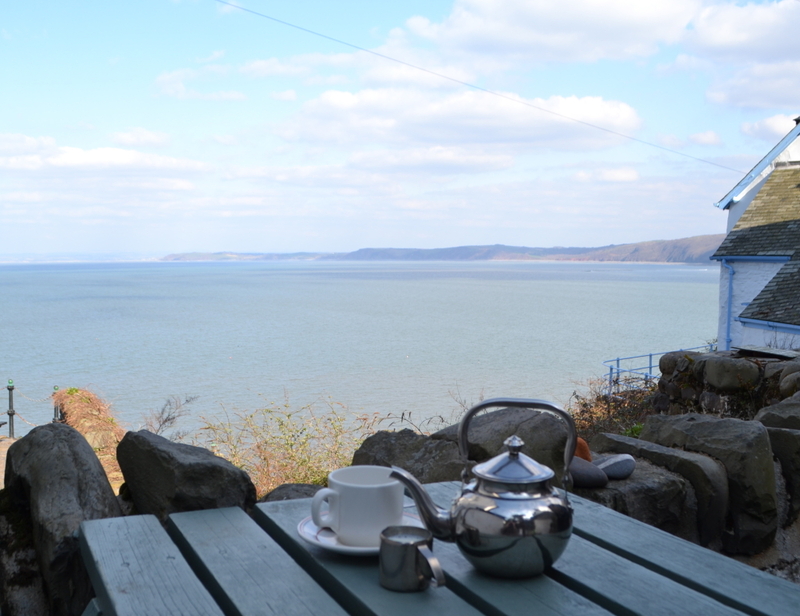 It’s definitely worth the trek down the steep cobble stoned path to sink your teeth into their delicious Devon cream teas. For the best views and atmosphere, try to get a seat in the courtyard to enjoy the spectacular views overlooking the ocean. The scones are home-made with a slightly hard crust and a delicious light and fluffy centre. Of course they are served with strawberry jam and locally-produced Devon clotted cream. Sorry Devons, I sneakily broke tradition and spread the jam first – it just doesn’t feel right not to. 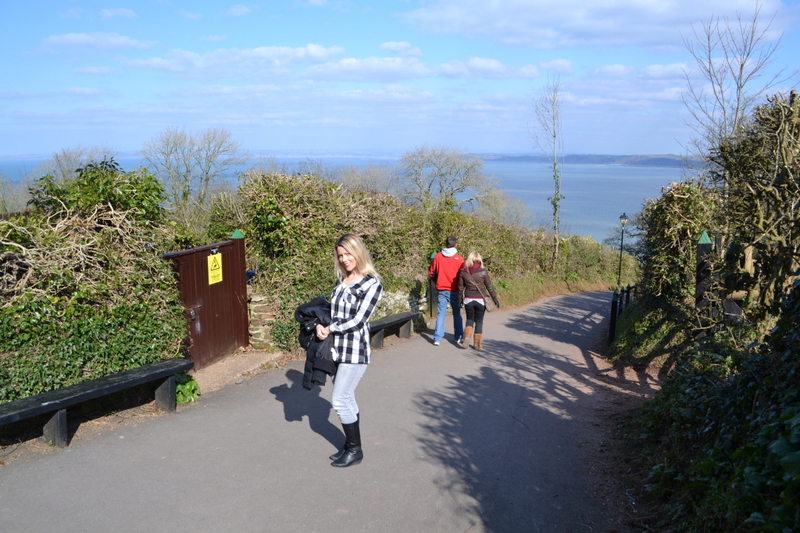 After a rather steep climb with a full belly I finally made it the top! 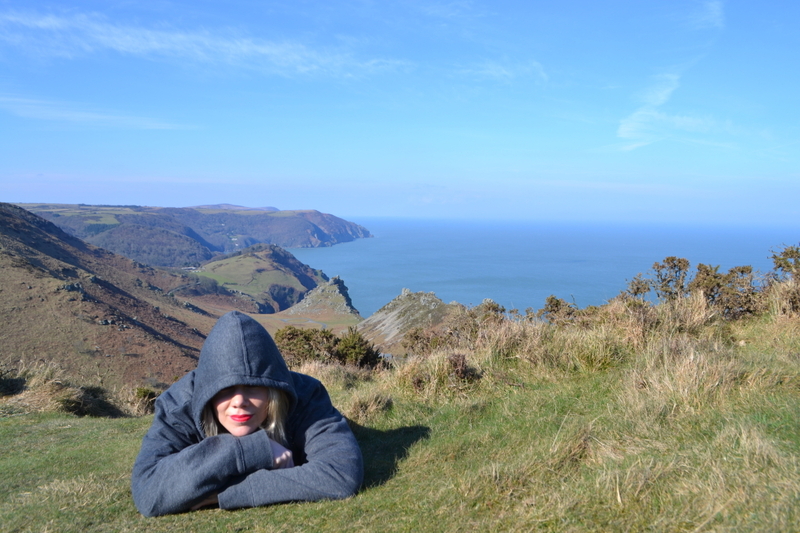 Needless to say, of course, I had to have a mini disco nap later on the hills surrounding castle rocks to reward myself for my hard work! How do you like your cream tea? I would love to hear from you.